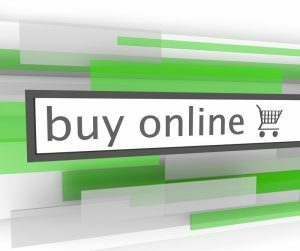 Online shopping is convenient, but there are risks involved. Before you order your tempered glass online, read on some important things you need to consider. If this is your first time to buy online tempered glass online, check out your supplier’s website and read the About Us page. This is where you will find information about the company and its history. One of your primary concerns might be the availability of your preferred design. You can stop worrying now because your supplier can help you come up with your intended design. If you think you are not familiar with other designs and details and want to know more, you can freely talk to your glass consultant so you will receive the information that you need. It is important that you know this aspect before you decide to buy your tempered glass online. Since your supplier will ship the tempered glass to your address, there are potential risks involved along the way, during its travel period. You need to clarify this policy and other terms and conditions of your supplier first in case of any unexpected mishaps that may affect your order. Review the shipment information and its equivalent cost thoroughly. Some online stores will indicate free shipping to draw more clients. You need to clarify if the free shipping covers your area to avoid misinterpretation. If you still doubt the company’s reputation, look for reviews and testimonials. Once you have considered all these factors in online shopping, you can now order your tempered glass here.